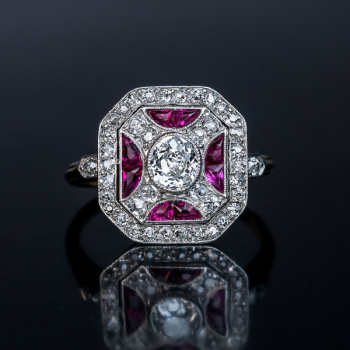 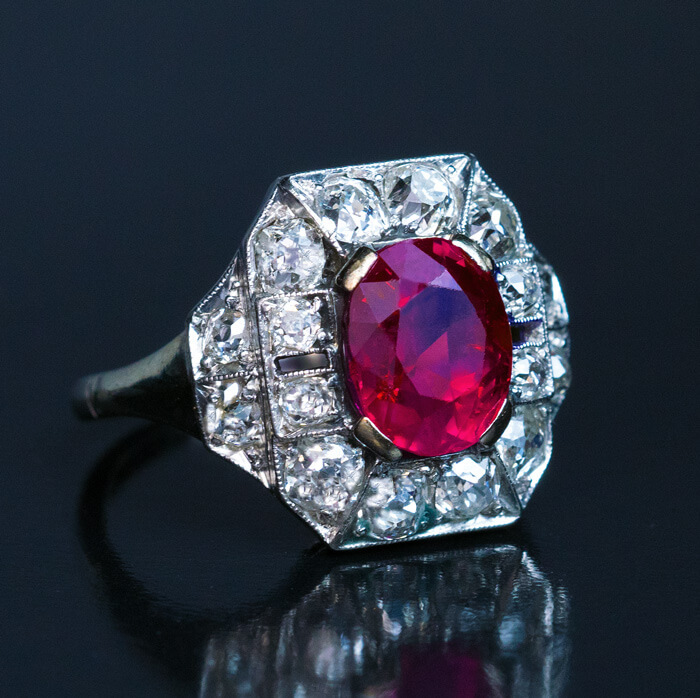 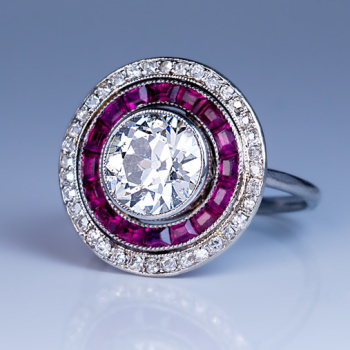 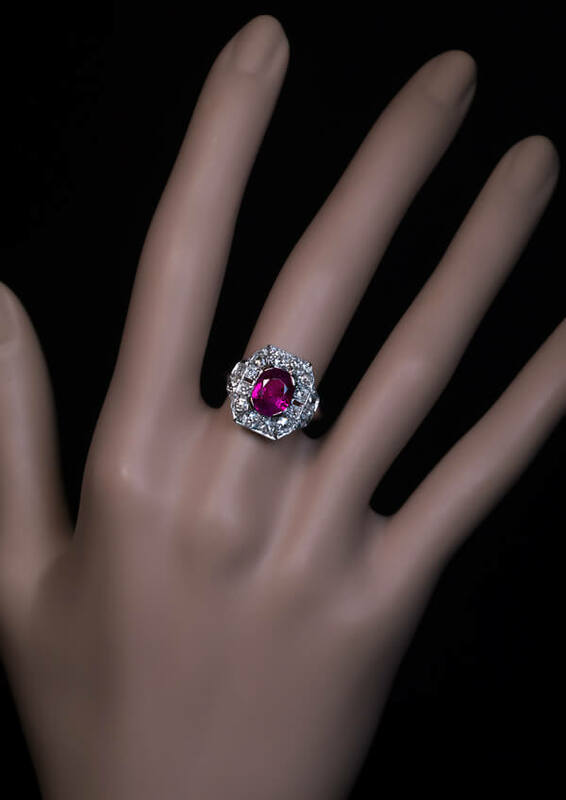 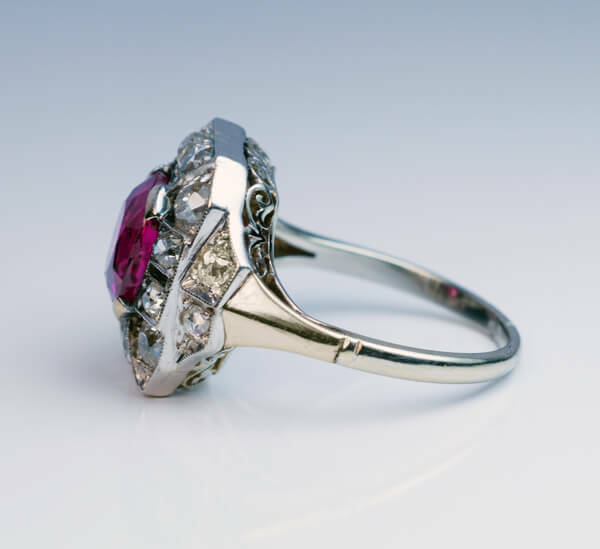 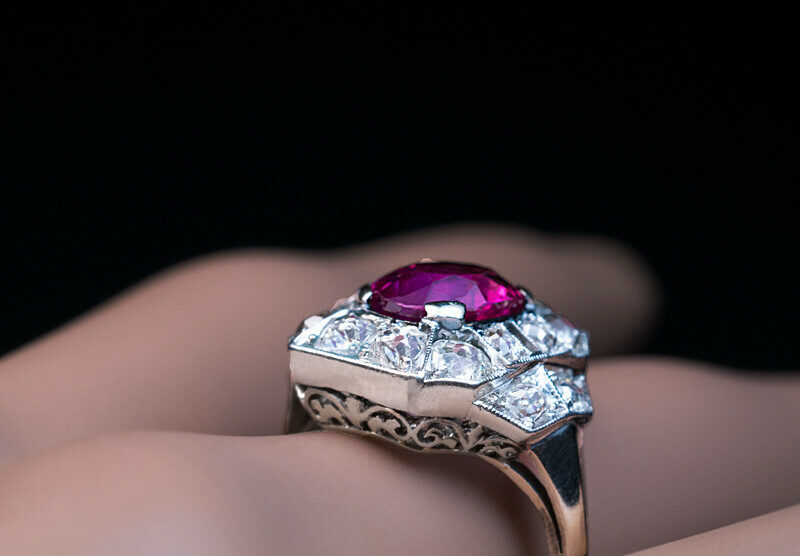 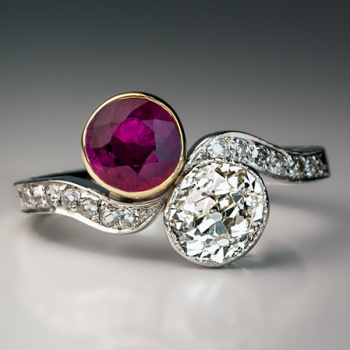 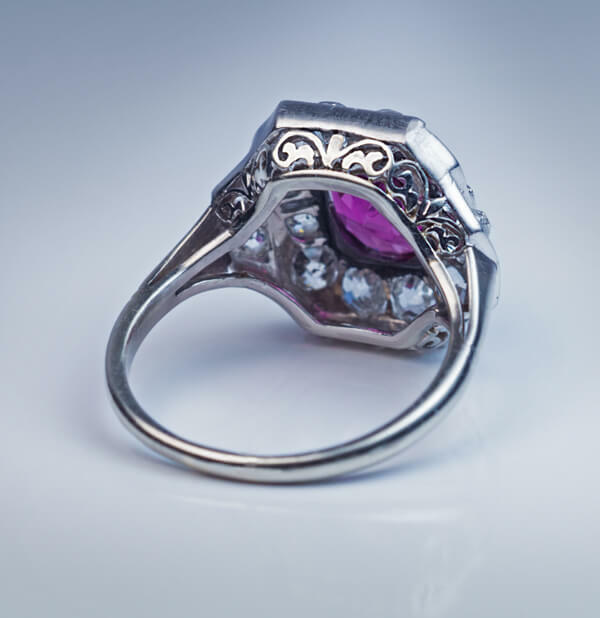 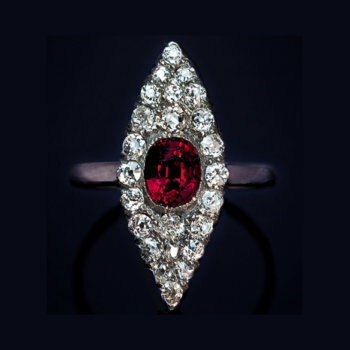 An Art Deco platinum (top) and white gold (shank) vintage engagement ring features a very fine natural non-heated unenhanced Burma (Myanmar) ruby surrounded by old mine cut diamonds. 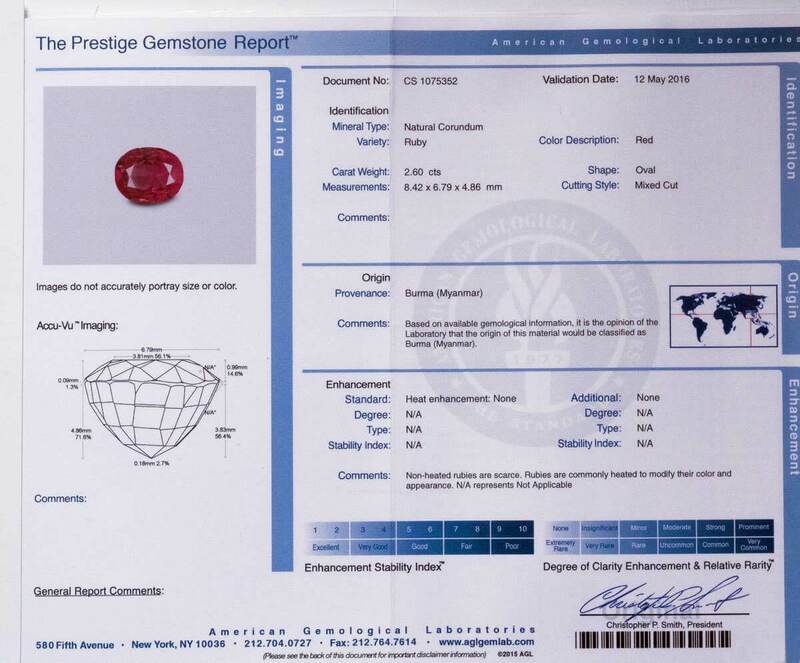 The ring comes with AGL gemstone report for the ruby. 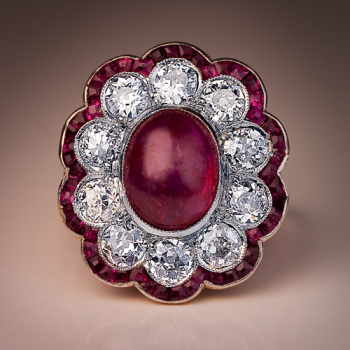 Fine unheated Burmese rubies over 2 carats are very rare. 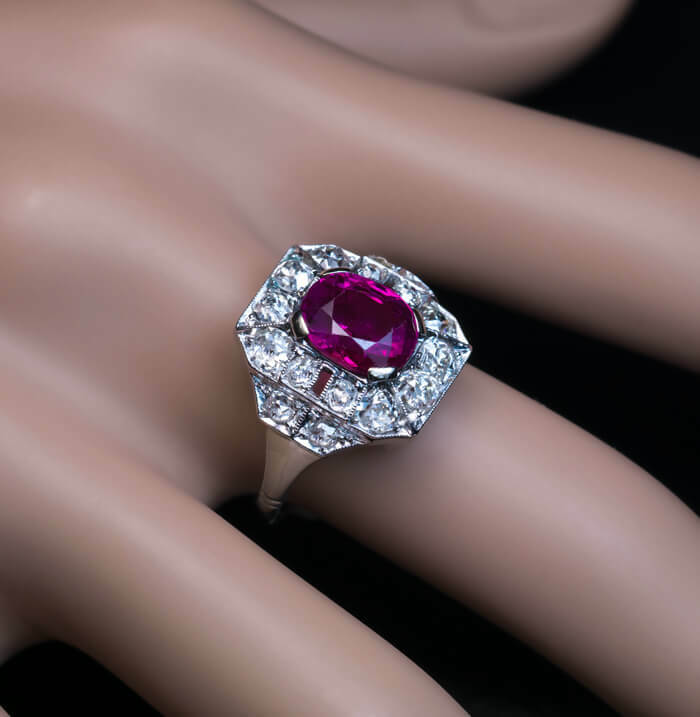 For loose stones prices start at $15,000 per carat.